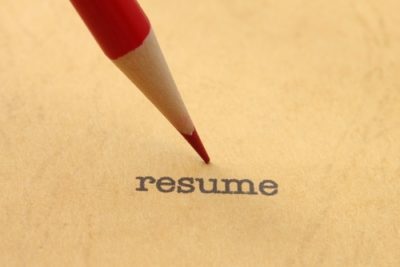 What’s the truth about lying on résumés? Almost half of workers (46%) polled by staffing firm OfficeTeam said they know someone who included false information on a résumé, a 25-point jump from a 2011 survey. Job experience (76%) and duties (55%) were cited as the areas that are most frequently embellished. Fifty-three percent of senior managers suspect candidates often stretch the truth on résumés, and 38% said their company has removed an applicant from consideration for a position after discovering he or she lied. The research also revealed demographic differences. More male workers (51%) know someone who’s lied on his or her résumé than their female counterparts (39%). Fifty-five percent of employees aged 18 to 34 can name a person who fibbed on this document, the most of all age groups. Skills have vague descriptions.Using ambiguous phrases like “familiar with” or “involved in” could mean the candidate is trying to cover up a lack of direct experience. To assess a worker’s abilities, conduct skills testing, or hire the person on a temporary basis before making a full-time offer. There are questionable or missing dates.Having large gaps between positions or listing stints by year without months can be red flags. Inquire about the applicant’s employment history during initial discussions, and ask references to validate timelines. You get negative cues during the interview.A lack of eye contact or constant fidgeting may suggest dishonesty, but don’t eliminate a promising candidate by making a judgment based solely on body language. Consider the individual’s responses to your questions and feedback from other staff members who met him or her. References offer conflicting details.Ask initial contacts about additional people you can speak to about the prospective hire. Also, check if there are connections in your network who can provide insight about the candidate. Online information doesn’t match.Don’t always take what you find on the Internet at face value. There may be multiple professionals with the same name or legal issues with how the information can be used. Verify facts during the interview and reference check processes.